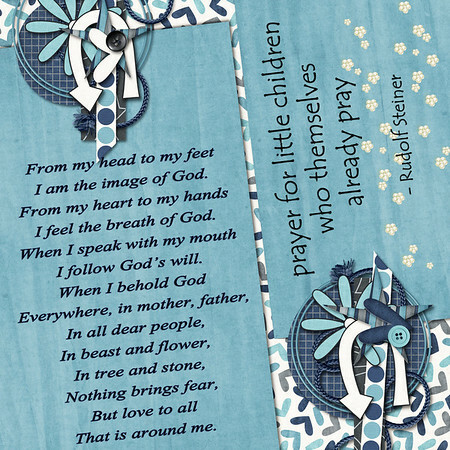 This prayer isn't meant to be taught to a child. A parent should memorize it and just keep repeating it till the child learns it by heart too. Yakee has been leading our prayers most nights already, basically telling about things he liked that day and mimicking my usual prayer of thanks for good health, for being together, that Pappie is already home. Now... I want him to learn this beautiful prayer because I want the thought behind it to be indoctrinated in him... that he is a good being and God is in him.